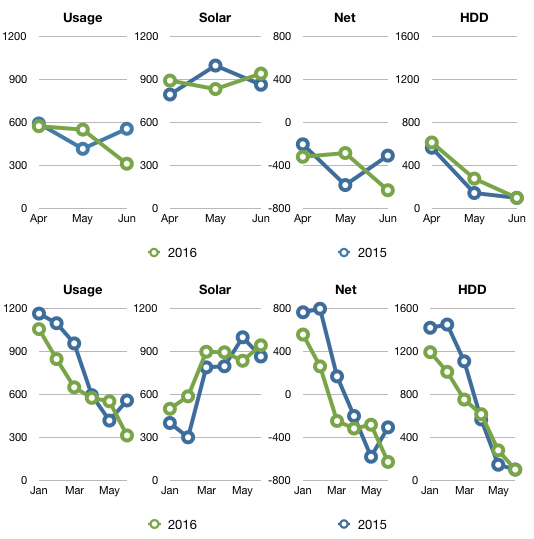 Q2 2016 summary: 23% cooler, 8% less usage and 11kWh more sun as compared to Q2 2015. The last day we used heat was April 17 for a total of 120.4 kWh this quarter. Last year we turned the heat off on April 28th and used 150.3 kWh that quarter. 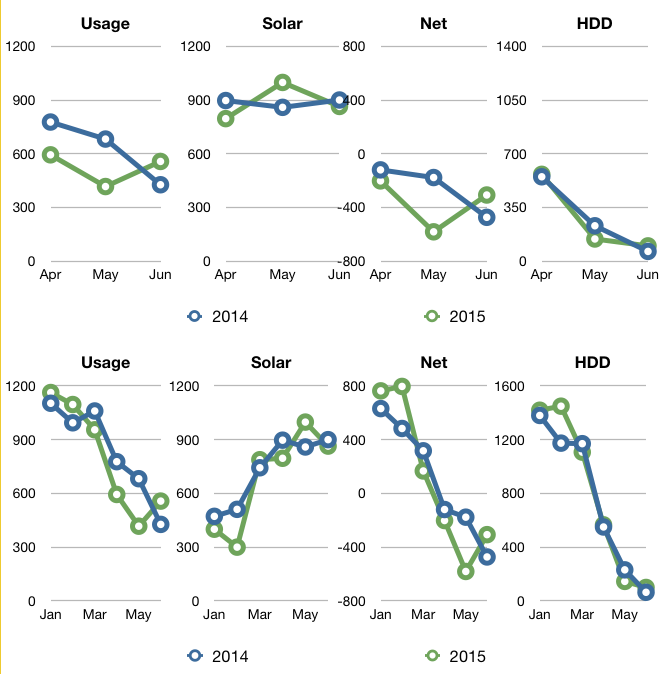 Here’s our breakdown on energy use and cost for the last four winter seasons. Est. cost based on $0.15 kWh. We would have spent about $921 (if we paid for electricity) in the last four winters. That’s still a lot less than many of our neighbors would spend in one winter. We netted out energy-wise on May 31 after 8am. Last year we were 637 kWh short of netting out for the year. In 2014 we netted out around mid-July. In years prior we were net positive by May or June. Our water usage is up 66% from Q2 2015. June was very dry this year and we were determined not to let the garden die. Our reward is lots of tomatoes and other veggies.